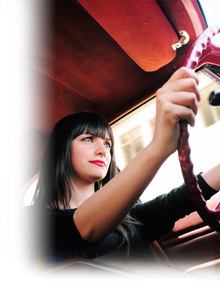 A vehicle is the first major purchase many young adults make. However, before you buy, make sure you know how much you can really afford. It is easy to get carried away and end up with a car or truck that is out of your price range. Revisit your budget, and see how much cash you can spare each month for a car. Consider not just the monthly loan payments, but also the cost of insurance, maintenance and repairs, gas, and parking. One of the biggest decisions that car buyers face is whether to go with a new or used car. If money was no object, most people would prefer to buy a new car. Not only do you get that nice new car smell, but you get a car that probably won’t need major maintenance for several years, is reliable, and has the most up-to-date safety features. Of course, in the real world, money is an object, and the used version is almost always cheaper. A cheaper car means lower loan payments or perhaps even being able to buy the car outright with savings. If you decide to buy a used car, there are many places you can get one from, including a new car dealership, private seller, used car lot, rental car company, or auction. You will generally pay the most at a dealership, especially if you get a certified pre-owned vehicle. (Certified pre-owned vehicles undergo a thorough inspection and are backed by a warranty.) However, many people prefer buying a used car at a dealership because they typically have a large selection and if there is a problem, you don’t have to worry about tracking them down like you would if you bought a car from a private seller. Auctions often provide the best deal, but auction cars are often in bad shape and sold “as is”, and you may not get a chance to thoroughly inspect them before the auction or obtain the repair history. To minimize the risk of winding up with a clunker, it is a good idea to do some research before purchasing a used car. Ask the seller for the vehicle’s repair history and VIN (vehicle identification number). With the VIN, you can run a vehicle history report. (There are a few companies that will do this for you for a fee.) The report reveals such information as whether the car has been in a major accident, if the odometer has been tampered with, and how many past owners the car has had. Also, if possible, take the car to an independent mechanic to have it inspected. There are three basic options for car financing: the dealership where your purchase the car, a credit union/bank, or a finance company. (Dealerships generally do not directly provide the cash but rather arrange financing on your behalf with another company, commonly the manufacturer’s financing arm.) Dealerships often offer a promotional low or zero percent interest rate on certain models but may not offer the lowest interest rate on other models. That is why it is a good idea to see what financing your financial institution offers. An added bonus is that you can use a loan from your financial institution to purchase a car at any dealership. Finance companies often specialize in offering subprime loans – loans to people with poor credit. Subprime loans come with a higher interest rate than prime loans. If you can only get a subprime loan through a finance company, it may be preferable to work on improving your credit score first and hold off on getting a new car until you can get a loan with a better interest rate. The lender is required to disclose all of the above information in Truth in Lending Disclosure Statement, which must be given to you before the loan is closed (finalized). Read this statement carefully, and don’t be afraid to ask your lender questions. The road to financial independence is not always a straight one, but with knowledge and enthusiasm, you’ll get there.